What appears to be a Mexican-owned plane that was at the Brownsville/South Padre Island airport Thursday suffered a gear collapse on the ramp during a maintenance run-up, the Federal Aviation Administration reports. FAA Spokesman Lynn Lunsford said two people were on the plane at the time and there were no injuries. 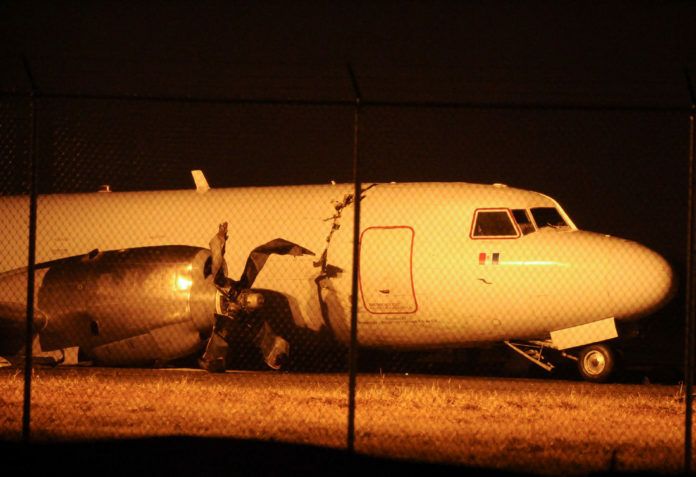 The plane was at the airport for maintenance when the accident occurred.